Most people only become aware of beavers when they are a nuisance, but did you know that biologists classify beavers as a Keystone species? Beaver ponds create wetlands which are among the most biologically productive ecosystems in the world (1). They increase plant, bird (2) and wildlife variety (3), improve water quality (4), and raise salmon and trout populations (5). This one species supports thousands of species. How is this possible? By opening the tree canopy, sunlight reaches the water and triggers an explosion of biological activity. Algae and aquatic plants grow in the sun drenched, nutrient rich water. This organic material supports microscopic organisms, which are eaten by a variety of invertebrates. These become food for fish, birds and mammals. An entire food chain is created in a beaver pond. Beaver ponds become magnets for a rich variety of wildlife. From important game species like duck, muskrat, mink and otter, to vulnerable anadromous fish like rainbow smelt, steelhead and salmon, biodiversity thrives due to beaver ponds. Beaver dams also protect downstream spawning areas from sedimentation, and create cool, deep pools which increase salmon and trout populations. Did you know that beaver dams improve water quality (6). By functioning as natural sponges that store runoff water and slowly release it, they reduce downstream flooding and erosion. The algae and plants in the pond improve water quality by absorbing dissolved nutrients, processing organic wastes, and detoxifying runoff toxins (e.g. heavy metals, pesticides and fertilizers). These wetlands serve as the “Earth’s Kidneys”. Beaver ponds also recharge our drinking water aquifers, stabilize the water table, and better maintain stream flows during droughts. Beavers are even being reintroduced around the country to improve arid lands. 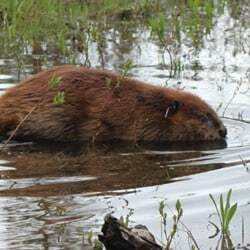 Beavers are sometimes regarded as pests, but the in truth there isn’t a single species that will better benefit your watershed. 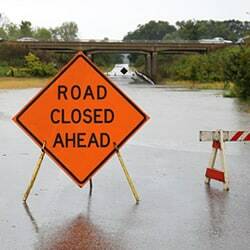 Although they can present a challenge, by using flow devices you can control problematic flooding and reap countless environmental rewards. Beavers really are “Worth A Dam”. U.S. Environmental Protection Agency, Functions and Values of Wetlands, EPA 843-F-01-002c, September 2001. Baker, B. W., and E. P. Hill. 2003. Beaver (Castor canadensis). Pages 288-310 in G. A. Feldhamer, B. C. Thompson, and J. A. Chapman, editors. Wild Mammals of North America: Biology, Management, and Conservation. Second Edition. The Johns Hopkins University Press, Baltimore, Maryland, USA. Langcore, T., Rich, C. & Müller-Schwarze, D. (2006) Management by Assertion: Beavers and Songbirds at Lake Skinner (Riverside County, California) Environmental Management Vol 39 (4).